I recently bought a gold chain, but it wasn’t for the obvious reasons. To be honest, I’ve never been a fan of wearing gold and have always thought it was too flashy for my taste. Though I dislike it aesthetically, its practical use as a store of value cannot be denied. I invest in gold ETFs and own some physical gold, but the portability and liquidity of these leaves a lot to be desired. In the last 10 years, I have traveled or lived outside of the USA for the majority of it. I have always been concerned about the risks and restrictions placed on how much cash that can be carried into various countries. I’ve was interested in ways to carry additional value, without running afoul of foreign laws. 24k jewelry is a game changer for gold investing. Not only can you invest in pure gold, it is now portable. If I’m traveling, lose my wallet and need some emergency funds, I just need to find the nearest gold dealer. I now have the ability to carry extra value on my person at all times while living and traveling outside of the country. Now for the downsides. There is the possible risk of getting mugged or robbed. I don’t plan on wearing it outside of my clothing because that isn’t for me, so that at least reduces the risk. I also wish there were more options like heavier chains, though I imagine the fact it’s pure gold affects the available styles. 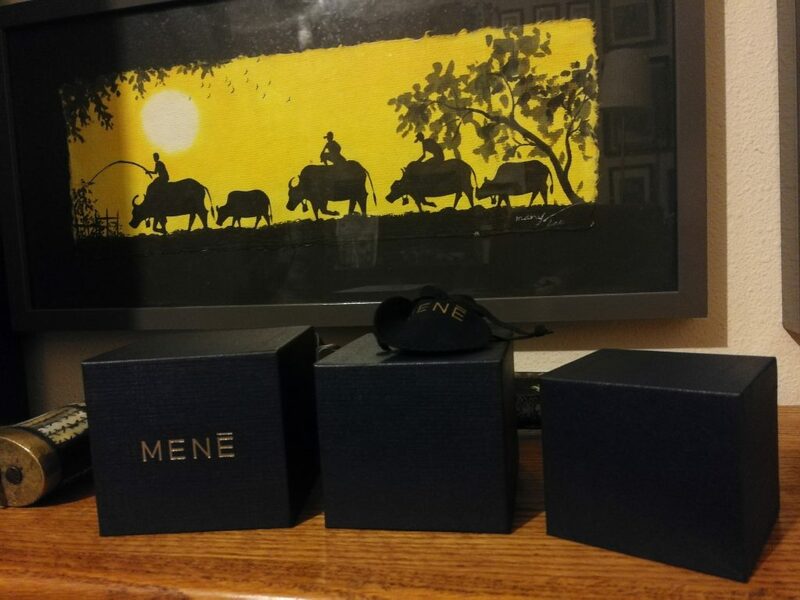 One really cool feature of Mene is that you can track the value of your items in real time. You can even sell it back to them or exchange it for something else. 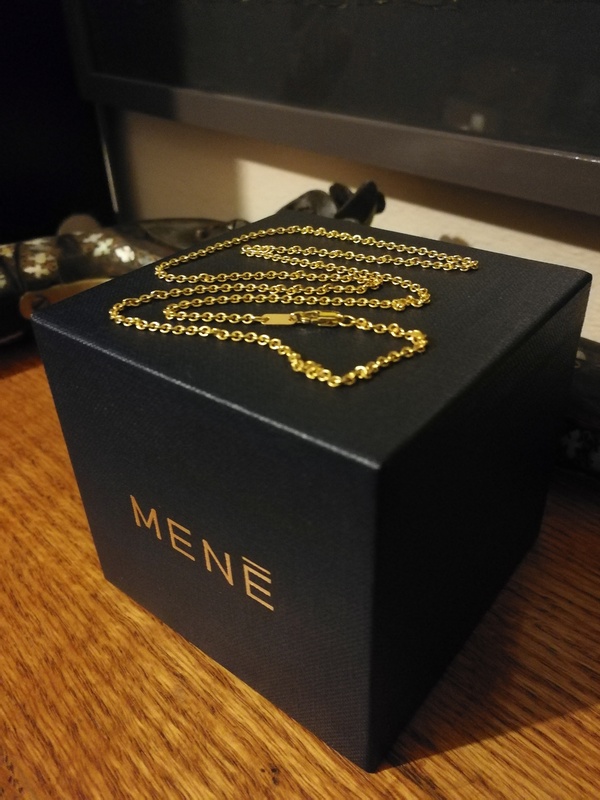 Next, I plan to purchase a cube pendant from Mene to hang off of my new chain! 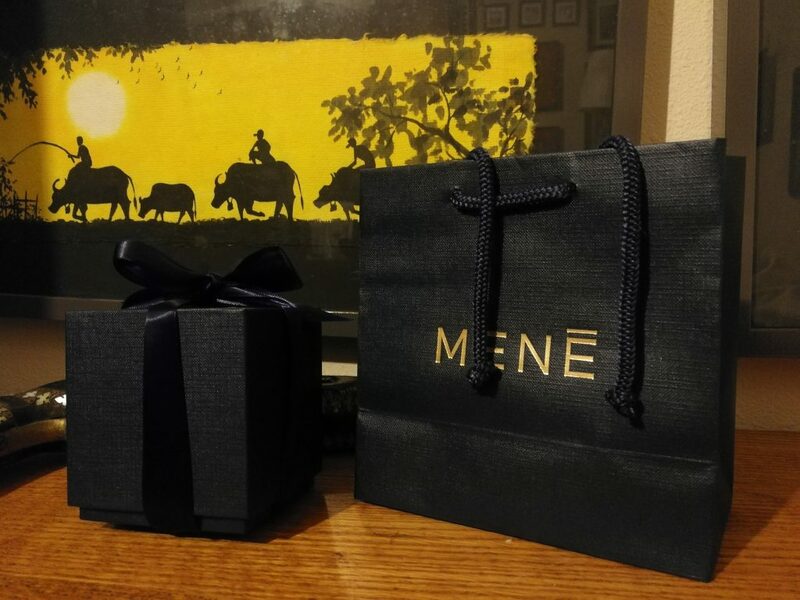 If you are interested in investing in some wearable investment grade gold, please consider using the referral link below. They even accept cryptocurrencies as payment.